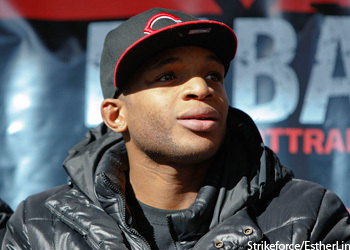 Less than a week after being granted his release from Strikeforce, Paul Daley (Pictured) has already found himself a new home. On Friday, Bellator Fighting Championships announced they had signed the welterweight to a multi-fight deal. “I’ve been a ‘Semtex’ fan for years,” said Bellator CEO Bjorn Rebney. “He’s an incredibly explosive fighter who is magic to watch inside the cage. So, when the opportunity presented itself to join forces with Paul, it was a simple decision to make. Daley owns an extensive 29-12-2 professional record, but the Brit has dropped three of his last five scraps. However, the 29-year-old is looking for a fresh start and has championship aspirations on his mind. “I’ve been a fan of Bellator for a long while,” Daley said. “When this chance came up, I was absolutely ready to make a long term commitment to Bellator. I have my sights set on winning the tournament and winning that Bellator title.